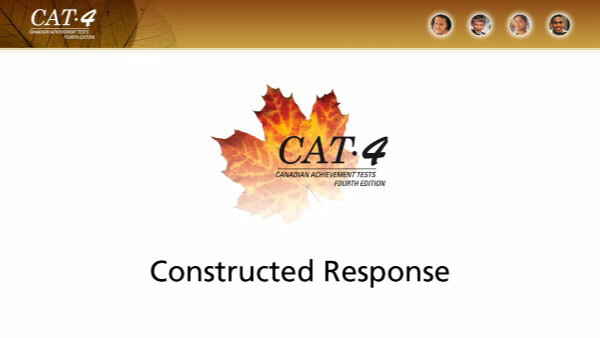 The CAT·4 Constructed Response Tasks complement and add another dimension to our CAT·4 multiple choice tests. These tasks focus on writing and reading skills. There are a variety of tasks from which to choose, each task targeting a different genre, skill, and/or objective. Constructed Response Tasks offer educators a comprehensive profile of student achievement.